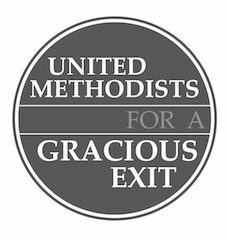 A call to pass a "Gracious Exit" as we seek a "way forward"
We write as a diverse group of lay and clergy United Methodists representing a broad theological spectrum in our denomination. Among us we hold “centrist,” “progressive,” and “traditionalist” views. Our prayer and hope is for unity in our beloved United Methodist Church. To that end, we covenant to hold the delegates to the 2019 Special Called Session in prayer, as you are led by the Holy Spirit. At the same time, we perceive that the United Methodist Church has come to a critical juncture in our life together. Our divergent understandings of biblical interpretation and theology underlie our disagreement on human sexuality. We regretfully recognize that our divisions continue to impede our mission to make disciples of Jesus Christ for the transformation of the world. While we pray for a unified way forward, the reality of our circumstance convinces us that any decision made at the 2019 Special Session will likely lead to congregations and pastors deciding they are no longer able to remain in the United Methodist Church. This reality provides the reason for this open letter. We write to urge the 2019 Special Session to approve a gracious and equitable process for exit which can be used by any congregation desiring to do so. We urge that such a process for exit be adopted prior to the consideration of any proposed model or solution. Some have noted that our Discipline(paragraphs 2547, 2548) already contains a process that can facilitate the exit of any congregation desiring to withdraw from the UMC. Why do we need additional legislation defining such a process? We believe there are a number of reasons. A well-defined process which is gracious and equitable will provide consistent guidelines for bishops and their cabinets, annual conference trustees and local congregations across United Methodism as transitions are determined and negotiated. The current Disciplinary paragraphs leave great freedom to bishops and cabinets to negotiate the terms of separation. While this allows for flexibility, it also means that existing congregations may faceinconsistent requirements and demands across the denomination. A more clearly defined process provides the greatest possibility of an even-handed and equal administration of process for congregations that believe they cannot remain. A well-defined process which is gracious and equitable — established before solutions are adopted by the General Conference — will provide exiting congregations a clearer understanding of what will be required and annual conferences a more complete understanding of transitions which may be needed when congregations choose to exit. Approving a gracious and equitable process before addressing proposed solutions will help to set a tone of generosity and freedom as the hard decisions of the 2019 Special Session are debated and decided. Approving a gracious and equitable process before final decisions are made offers the best possibility of helping the “winning side” avoid the temptation to take advantage of their majority position by imposing insurmountable or punitive obstacles for congregations who elect to end their relationship with the UMC. It may also limit expensive litigation. We believe that a gracious and equitable process for exiting congregations will include at least these five basic elements. An open time period up to five years from the close of the 2019 Special Session for congregations to consider desires and possibilities and during which any congregation may depart under the defined process. The ability of any congregation to exit the UMC with their property and assets. However, any existing debts to any United Methodist entity remain in place and must be paid at the time of exit or according to the existing payment plan; and that any grants from United Methodist Church toward the building or renovation of congregational buildings must be re-paid. Release of the congregation from the trust clause also implies release of the annual conference from any responsibility for the congregation’s debt liabilities. A provision for the payment to the annual conference of a reasonable and fair share of the conference’s unfunded liability for clergy pensions (with guidelines for what is “reasonable” and “fair” defined by Wespath). Consideration of the impact on the Annual Conference of the loss of the resource of the congregation. This consideration should not exceed an amount equal to one year’s apportionments for those congregations which have paid apportionments in full for at least four years preceding or three years’ apportionments for congregations who have not paid apportionments in full for at least four years preceding. The aggregate of obligations under #3 and #4 above shall not exceed the amount of the congregation’s annual operating budget averaged over the preceding four years. write to you also with a hope that, if we cannot remain as one institutional church, we may as one graciously allow congregations who seek a change of relationship to live out their congregational lives and ministries in a manner consistent with their understanding of God’s will and the leading of God’s Spirit. While this letter originated within the West Ohio Conference, we encourage others who are in agreement to add their signatures and conference relationships, and to engage members of their own delegations in conversation about these matters. We urge your earnest prayer and consideration of our thoughts and concerns. May the grace of God, the love of Christ Jesus and the abiding presence of the Holy Spirit guide and strengthen you.